marketers around the world build their businesses faster and easier since 2001. Tracy's first career was teaching Jr. High School math and science. In 1987, she left her teaching job to become a stay-at-home mom. She began her network marketing career thanks to her sister, Lisa, and has enjoyed building a thriving career from home, while raising her two children. She has reached top positions in four international companies. She conducts monthly Dialing for Dollars Webinar Workshops where her mission is to teach network marketers how to finally overcome their internal obstacles and truly work 100% from home using just the Internet and the telephone. 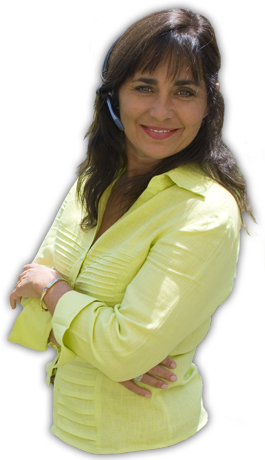 Tracy is also a Master Results Coach and is passionate about helping her clients achieve their wildest dreams! Tracy loves working from her home in the coastal redwoods of Northern California. She is the proud mother of two amazing young adult children, Caleb and Olivia. Her passions are jazz dancing, travel, entertaining, personal development, her numerous rescue animals and above all having FUN!!! "I believe what holds people back from achieving their goals is lack of the correct mind set, skill set, tool set...or all three! Through a perfectly balanced blend of content training and hands-on activity my workshops, deliver what every networker needs to be successful, in a fun and highly interactive format - all from the comfort of your own home! Give me a week and we'll turn you into a Dialing for Dollars Dynamo!"